As any mom knows, if you have more than one kiddo, there are going to be sibling fights, disagreements and squabbles. As parents, how can we help our children figure out how to manage these natural rivalries? 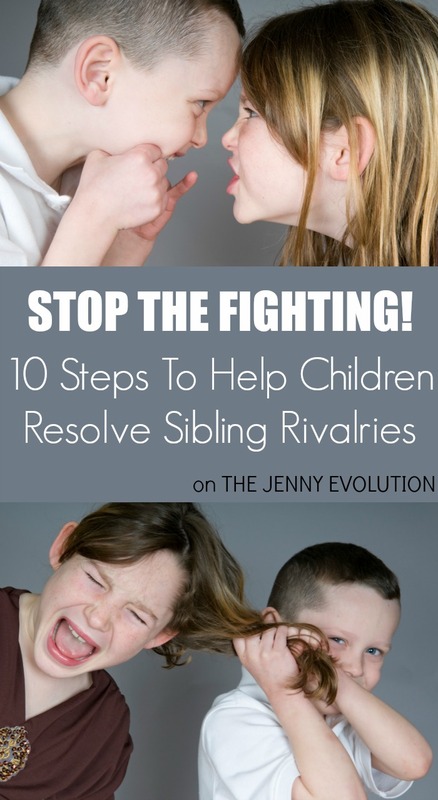 Freelance writer Jennifer Livingston is joining us today to share her insights into Sibling Rivalry Solutions in 10 steps. Sibling rivalry has posed an issue within families since ancient times. Parents assist their youngsters in forming happier adult relationships by handling this issue with care. While stepping in to end a juvenile dispute might appear like the best course of action sometimes, today many experts recommend restraint. Siblings need the opportunity to resolve these issues in order to gain independence and maturity. 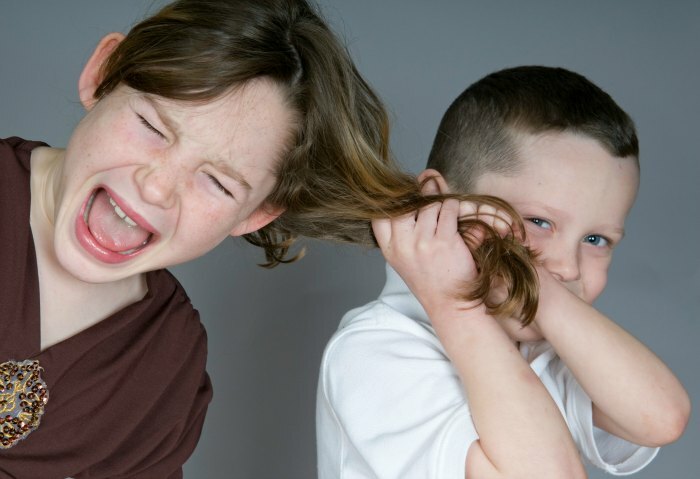 What steps enable parents to assist their youngsters in handling sibling rivalries? These ten tips prove helpful. Child development expert Dr. Judy Dunn observes that parents must recognize their children may not appreciate one another personally. Just as two strangers who meet for the first time sometimes grow to dislike each other, no guarantee exists that siblings will possess compatible personalities and interests. Different individual traits sometimes impact sibling relationships significantly. Experts advise that sibling rivalries represents a natural process. Youngsters naturally vie for the favor of adult role models. Also, sometimes when youngsters close in age they compete with one another even more for parental approval. Experts recommend offering every child in the family the chance to grow and develop independence. By furnishing this opportunity, a parent enables youngsters to develop greater self-confidence and happiness. At the same time, parents must take care not to inadvertently fuel sibling rivalries by over-emphasizing efforts to discourage sibling rivalry. It’s nice when children cooperate and support one another, but by compelling them to do so a parent may simply exacerbate these tensions by failing to deal with them honestly. Parents should allow children to deal with jealousy in an authentic way. By enabling them to recognize that everyone feels this emotion at some time, a parent enables siblings to develop and mature in their relationships with one another and other people. Parents who take time to appreciate the unique skills and talents of their children enhance their self-esteem. 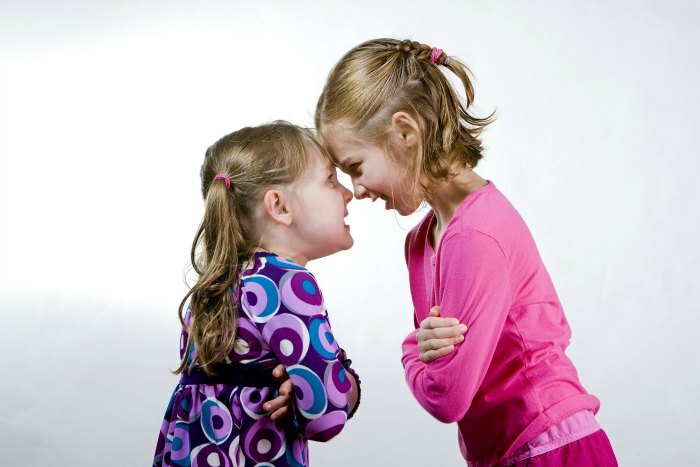 This process may ultimately help in the successful resolution of sibling rivalries. Just as one person may excel in Math, another may demonstrate accomplishments in Sports or Baking. Every individual’s gifts provide an opportunity to enhance the world. Experts also note that a parent must recognize that bullying behavior conceals insecurity and a lack of self-confidence and self-esteem. The child who seeks to attack another sibling often harbors great self doubt. By working to expand the youngster’s feelings of self-worth in a positive way, a parent assists the maturation process and helps a child gain greater happiness. Even if a parent prefers one child over another, it remains important not to “play favorites” and single that individual out for disparate treatment. This behavior by a caregiver might contributes to intense hostility and a deep feeling of victimization on the part of siblings who feel deprived of parental approval. Many experts recommend allowing siblings to work out their differences as much as possible during childhood. As they mature, they’ll gain greater self confidence and autonomy. However, a parent should intervene to prevent a sibling dispute from turning violent. Children must recognize they cannot resolve family conflicts violently. By allowing siblings to work out their rivalries with one another during youth, parents promote the development of happier, more self-confident adults. Everyone benefits when this process occurs. Get even more insightful Parenting Tips here on The Jenny Evolution! So many wonderful ideas here! I love your emphasis on honesty! So important! This is a great group of tips for dealing with a very emotionally laddened topic. Thank you very much for the great ideas and reminders. Thank you for sharing on my page. Pinned and Shared.